It seems Final Fantasy publisher Square Enix is experimenting with bringing its AAA console games to mobile, as the company has launched a version of Final Fantasy XIII (in Japan) for iOS and Android that runs in the cloud and streams to your phone or tablet. The game is delivered as a free, tiny (~20 MB) app, and the entire game is streamed from G-Cluster servers to your device as a video. 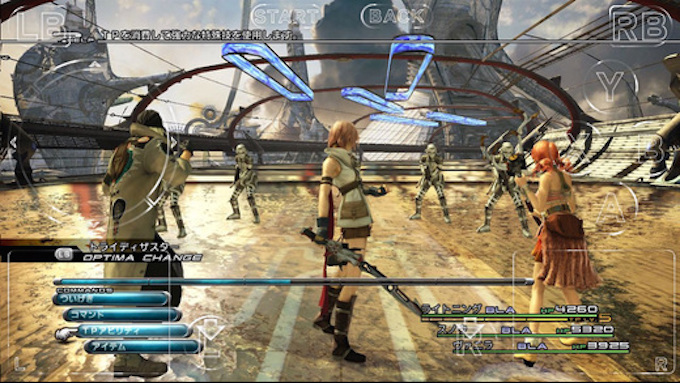 To accommodate the game’s controls (which were originally built for PlayStation 3 and Xbox 360 controllers), the screen is surrounded by large touch targets that match up with most buttons that would normally be available. If you happen to live in Japan and have a connection with download speeds above 3 MB/s, you can play the game for 30 minutes for free. After that demo period, the price goes up to 2,000 yen, roughly in line with the $15.99 Square Enix charges for Final Fantasy VI on mobile. One imagines that Sony is watching this launch rather closely. The company’s PlayStation Now service lets you stream PlayStation 3 games (including Final Fantasy XIII) from the cloud to certain Sony phones, TVs, and PlayStation consoles, but as Sony transitions out of the mobile business to focus on PlayStation, media, and sensors, it seems likely that we’ll see the service make the jump to iOS and Android more broadly.